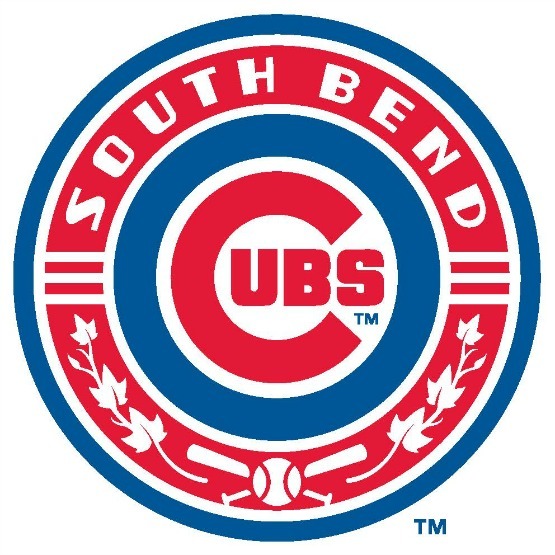 Fun Facts: One of the teams we hope to see next summer is the South Bend Cubs. South Bend came into the Midwest League in 1988, as the South Bend Silver Hawks, named after the Studebakers that were once produced in the city. They started out as affiliates of the Chicago White Sox, and became a long time affiliate of the Arizona Diamondbacks (17 years!). In September, the franchise announced they signed a four year affiliation with the Chicago Cubs, and changed the team name accordingly. The franchise has won the Midwest League Championship on three occasions: 1989, 1993, and 2005. We were able to watch the Silver Hawks back in 2009, before they chanced the stadium name from Coveleski Stadium to Four Wings Field. The franchise has made some great improvements to the ballpark in the last five years we’re looking forward to also. The new logo was just released this afternoon, and I’m sure the boys, as Cubs fans, will be begging for some merchandise. They’ve won more than the Cubs. Mark, don’t forget that the Kane County Cougars won the Midwest League this season as a Cub affiliate, also. Bright future ahead for the organization as a whole, I believe!